The European Trade Union Institute has just put together a 40-page report that comes out of their conference on ‘Shaping the new world of work. The impacts of digitalisation and robotisation’, held from 27-29 June 2016 in Brussels. 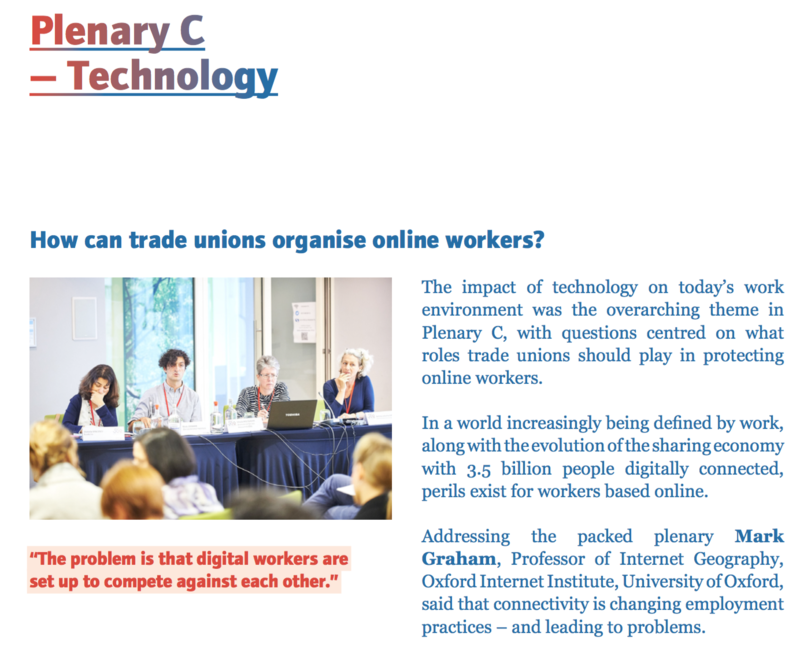 I spoke in the Plenary on ‘technology’, and spoke about both fears for digital workers, and potential ways of building worker power and collective action. Download a copy of the report: ‘Shaping the new world of work‘. Employers (find a better word) have often tried to take advantage from poorly organised and unsufficiently informed working class. As shown in Sergio Bologna’s “new workforce”, poor organisation has also affected freelancers, including in the lack of representation in front of public powers of the number of workers of the digital economy and platforms. It should be noted however, that the use of internet has also been conducive to a number of self-help initiatives. In the US, Kristy Milland, running TurkerNation: the oldest community for Amazon Mechanical Turk crowd workers. 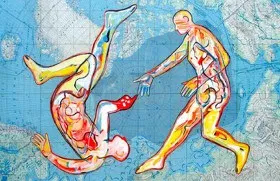 Freelance workers are also collaborating more and more through the net and cooperative structures. Frelancers Union is possibly the largest organisation with hundred thousands affiliated active in the US.